Wondering if project management is a good career? Keep reading to learn more about how it works — and how it can help you professionally. Project management is the process of planning, organizing and overseeing work on a defined project. It involves accomplishing specific goals within guidelines of cost and time and is applicable to almost every business and industry. If you have an analytical mind, excellent communication skills, a tough skin and the ability to lead, project management may be for you. A project manager’s job involves creating a master plan to reach a specific outcome — and then making sure it gets done. Project managers (PMs) are results-oriented leaders who break an end-goal into smaller pieces, manage a team to complete each part, and make sure expected results are reached within budget and time constraints. Jim Bates, project management instructor at Richland, said many of his students already are employed and want to enhance their skills. Others, he said, may be unemployed and are retooling for today’s job environment. Bates added that the principles of project management can be used in almost any industry. Bates explained that project management is “industry-agnostic” because the core concepts are the same regardless of industry or domain; as a result, it can be used in manufacturing, construction or software development, for example. In a strong economy, demand for PMs is high across all industries. When the economy is slow, look for opportunities in hot sectors such as biotechnology or IT. Many companies use PMs to handle everything from launching new products to restructuring. Project managers plan what work needs to be done, who’s going to do it and when each part needs to be completed. Projects can vary widely in both content and scope — from publishing a report to constructing a building. Though project managers are not responsible for carrying out the work themselves, they are accountable for the outcome. How Can Project Management Help a Company? Does a Project Manager Need to Have Technical Skills? Project Management/PMP Certifications: Worth It? Educational requirements for project managers vary greatly according to the type of projects they manage. For construction projects, a civil engineering degree is usually required. High-tech PMs may need a degree in electrical engineering or computer science. Many project managers have some type of formal business training, such as a Master of Business Administration, since they must be able to evaluate a project’s financial impact on the company. The project management professional (PMP) certification of the Project Management Institute (PMI) is one of the most well-known project management credentials and is the widely accepted standard for demonstrating a professional level of competence. PMI is the world’s largest not-for-profit membership association for the profession and offers five additional globally accredited credentials besides PMP. To obtain the PMP credential, you must satisfy requirements involving education and experience, agree to a code of ethics and pass the PMP certification examination. Many corporations require PMP certification for employment or advancement. How Much is a Project Manager’s Salary in Texas? Bates said that an entry-level project manager in the Dallas-Fort Worth region can make up to $35 to $40 per hour. A project manager with three to five years of experience can make closer to $55 per hour, he added. In addition, specialized project managers, particularly in the technology industry, can make $90 per hour. Heather Young, coordinator of continuing education at the Dallas County Community College District, said the project management certifications help workers advance within a company because they show that the worker has the knowledge and knows the strategies. Interested in other continuing education programs? Contact one of our CE offices for more information. Learn more about other degrees, certificates and classes for credit offered at our colleges. Check out some of our past programs of the month. If I was on the fence about a career in project management, your blog would have sealed the deal. You covered the bases completely to help someone looking to pursue a project manager-degree program. Great job. Thanks for sharing this valuable information. Yes, If, you have trained specifically for a career in project management through a degree or Masters course at college or university or whether you have been one of the many “accidental” projects managers who happened upon this career path by chance there are plenty of opportunities to develop in the project management world right up to Director level. 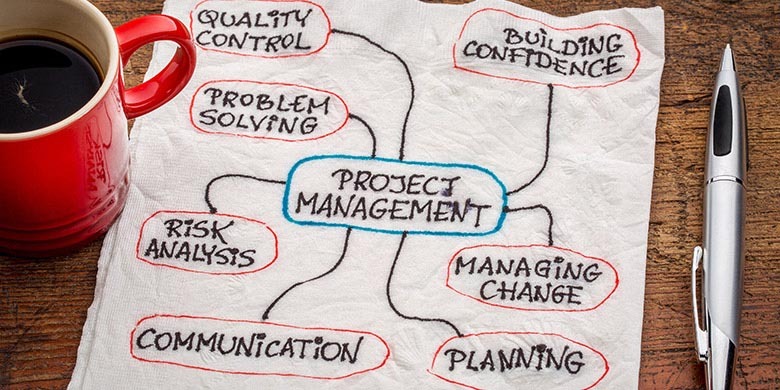 So many major organizations working in a project focused way, project management is increasingly a career of choice rather than chance with entry level jobs such as Assistant Project Manager or Project Assistant, through to working on more complex projects and then onto programmers and portfolio management. Thanks for such a informative piece of content. With project management you will get plenty of opportunities to pick up new skills, to build relationships, to understand the business that you won’t easily get in any other role. Thanks for this Informative information, I wanted to pursue a Project Management course. And this article helped a lot. Thanks! We are glad you found the information helpful. Let us know if you have any questions. The blog is precise and informative. This really helped me in broadening my knowledge about project management. Thank you, Monica. I have done my Bachelors in Computer Science, but I don’t want to do programming, I do have a leadership quality, and in project management it is quite essential. Do I’m eligible to do Project Management course ?